Are you ready for some ………Gardening? Growing food is one of the best ways to strengthen your food security, embrace a wholesome social environment, lower your carbon footprint, and drop your cost of living. Warming temperatures and singing birds beacon you to step outside and enjoy what the green has to offer. Robust delicacies are designed as a result of nurturing a diversity of food crops. One of my favorites snacks is to top a freshly picked, sliced tomato with some diced parsley. I add some olive oil, salt, and pepper to enjoy a rich source of vitamins A, C, with a tad of iron. We are creating an Edible Garden Challenge equipped with its own Facebook page where I hope to read your favorite recipes. The time honored sport of gardening is urgently needed during this time of climate change weather disruptions. Your survival may depend on your community’s ability to produce edibles during these times of increasing food insecurity. California has been the top food producing state in our nation for over 50 years. However, this rather large state has been experiencing many years of drought that limits the amount of available water needed to irrigate the food crops. UC Berkeley paleoclimatologist B. Lynn Ingram reports that 2014 was California’s driest year since 1580. The water in man-made reservoirs are evaporating faster than precipitation and springs are able replenish. The government classifies the persisting drought in much of the Southeast and Southwest as exceptional. These extreme dry conditions that have been occurring since the1950s may be a mirror of those that resulted in the Dust Bowl of the 1930’s. The High Plains agricultural industry is threatened by the declining water supplies found in the Ogallala underground aquifer. Texas is the second largest food supplier in the United States and depends on this aquifer for irrigations waters to support the crops. Skiatook Lake located about 18 miles from Tulsa. This recreational aquatic ecosystem is being depleted by the annual below average rainfall since 2009. If the area does not receive any rain by April then the water level will only be at 50 percent full. Temperatures have been hot and the ground is dry. These conditions results in high evaporation rates with little hope for recovery. We benefit tremendously by taking responsibility with producing our own food stocks. An abundance of social activities ensue around green spaces. Elders are invited in with a welcoming seat to share their knowledge and wisdom through storytelling. People of all ages are able to learn how to nurture, culture, harvest, and love one of the very resources needed for survival, food, while breathing in oxygen full air. We are able to lower our carbon foot print while reducing greenhouse gases generated through the food transportation industry. A large portion of the grocery list may be gleaned with a short walk to the garden. Humungous trucks are no longer burdened with the relocation of rich treasures found in organic wastes that are added to compost piles. Transferring leaves, wood chips and kitchen wastes to the compost pile takes away a large load of the over 30 percent of organic wastes discovered in landfills. The landfill ecosystem is an origin of the hazardous greenhouse gas, methane, that is released into our breathing space. Cherishing the compost pile yields a rich source on valuable soil additives to support plant growth and ward off insect pests. The nutritious delectables improves health and well-being as health and living costs are reduced and your productivity is increased. Automobile fuel and maintenance costs are cut when food is available within walking distance. Valuable time spent shopping, in medical environments, as well as, time lost from work and school while attending to healing activities is gleaned with the addition of a diet enriched with a wholesome source of organic or close-to-organically grown food sources. There are many opportunities to be involved with growing food even if you do not have the space, knowledge, or other resources needed to garden. 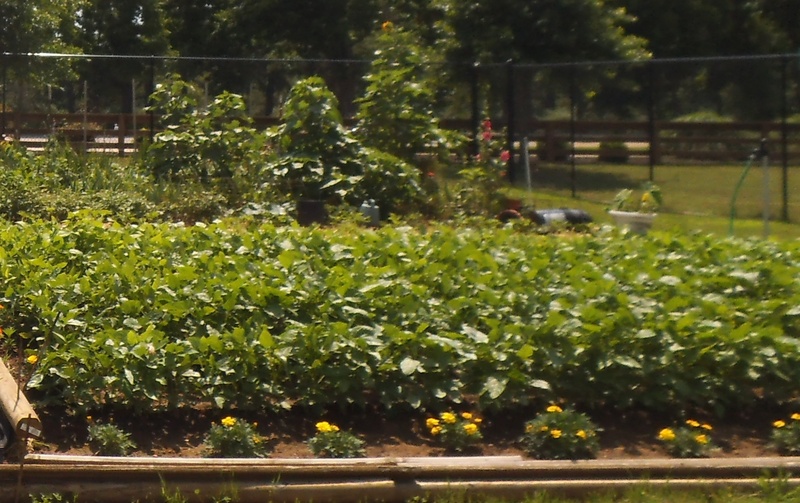 You may be eager to discover that are community gardens already in place near to where you live. You may be surprised to discover many easy ways to grow food where you live. We are creating a supportive, online gardening community. Join us on Facebook by contacting me through my website, www.jazzyeco.com. I will add you to our facebook Edible Garden Challenge community so we can document the number of square feet of garden space that we, as a community, foster. We may collaborate on best gardening challenges, benefits, and practices. Share this Post to Share the Wealth. Elizabeth Armstrong, PhD is an environmental expert, author, owner business owner.